A SNOW JOB IN OLD PAS? BETTER BUTTON UP YOUR… TANK TOP. On Friday, November 29 from 4:00-8:00pm, on Holly Street, families can frolic on twenty tons of snow. At One Colorado, Santa is coming for the lighting of the Christmas tree. And all over town, you can hear songs to fill you with the Spirit of the Season. Old Pasadena will treat the community to fun, family-friendly festivities throughout the district complete with kids’ crafts, and live musical performances. Have fun in our “ugly Christmas sweater” photo booth where visitors can shoot a truly special holiday shot with fun props or even don an buy an actual ugly Christmas sweater available for purchase at The Loved One. The Armory on Raymond will have hours of kids’ craft activities as well as well as instruction in Japanese ink painting for older artists. There will of course be music – live entertainment that includes sing-a-longs with the LAMA College for Music Professionals ensemble, the local award-winning Towne Singers and Pasadena Crown City Chorus, as well as inspirational holiday songs from the Friendship Baptist Music Ministry to close the evening. Live performances from the Salvation Army Tabernacle Children’s Choir, Charles Dickens Carolers, and the Resound Ringers of F.U.M.C. Pasadena Handbell Choir. There will also be some elf hijinks and delicious cookies and cocoa. At 6:30pm, Santa will arrive and help light the gorgeous 30-foot holiday tree. BYOC (bring-your-own-camera) and capture a family portrait with Santa until 8:00pm. 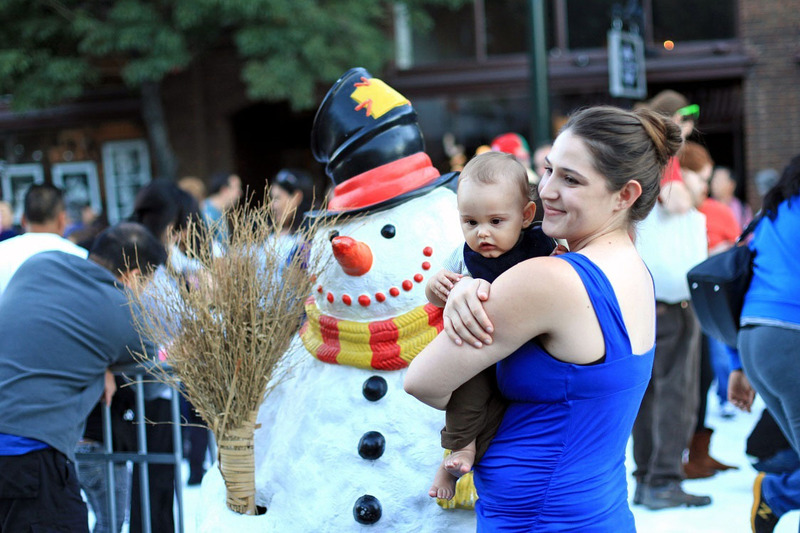 This is how the Old Pasadena Management District (OPMD) is keeping true to the promise of community with free family fun and a healthy dose of Seasonal Spirit, at “Home For The Holidays” in Old Pasadena, Friday, November 29 from 4:00-8:00pm.